I came to Laos in 2008 prepared for the worst 6 weeks of my life. You would be correct in guessing I was wrong. In 2009 I came back, in 2010 I decided to come back for good, in 2011 I raised money to get back, and on August 26, 2012 I was back. 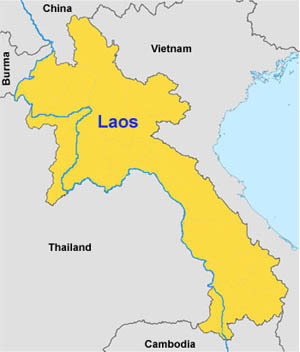 I work as an English teacher at the National University of Laos with a team of other Yankee Doodles and together, we are saving Laos one simple present verb at a time. Laos has awesome people, miserable weather, and the best fruit shakes. If you are wondering where it is, check out the map. It’s not New Mexico (that would be Taos) and it’s not China (that would be China).